Buy Hardware Directly From HostDime, Lifetime Warranty Included! Buy Hardware Directly From HostDime, Hardware Lifetime Warranty Included! Whether you’re planning to set up a new gaming server rig, an office dev server, or a production hosting server, normally the hardest part is determining the right hardware for the job. Questions will arise. What kind of server do I need? Do you need a single CPU or would two be better? Will this chassis support my motherboard? Do I need RAID? Will this amount of RAM work? 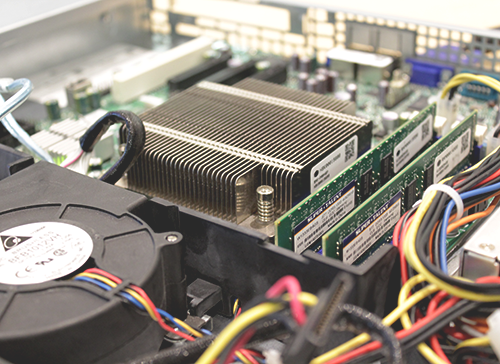 With so many hardware options available, ordering and building a server properly can be daunting for novices and experts alike. For this reason, we offer a service to do this for you. 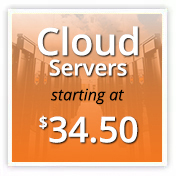 When you purchase the hardware from us, you save time in costly mistakes and in provisioning the server, which is inclusive in our hardware pricing. Being in the industry for 15 years, HostDime has developed long lasting relationships with top-tier hardware providers, allowing us to get the latest and greatest hardware at affordable rates. Our bulk discounts mean savings for you. We test an incredibly expansive array of hardware from different CPUs, motherboards, RAM sticks, power supply units, and more. This extensive testing and experience narrows our offerings to a select group of hardware that is most compatible and powerful when used together, while also being cost effective. HostDime has engineered, built, and provisioned tens of thousands of servers and 95% of the servers in our facilities have been built by us using top-tier level hardware. Once we build your fully managed, customized server, it will reside in our 25,000 square foot, state-of-the-art enterprise datacenter. You’ll receive around-the-clock full service and support from our NOC Technicians, System Administrators, and Abuse and Security Teams. Apart from the assurance that the hardware you’re ordering has been expertly chosen and assembled, we offer something very exclusive to our clients: you’ll receive the peace of mind that the hardware you’re purchasing will receive a FULL hardware lifetime warranty while hosted or colocated within our privately owned Orlando data center. Say one or two years down the line, a drive in your server fails. HostDime will replace it with an equivalent or better hard drive. No need to worry about ordering a new part. All hardware management (file system checks, drive failure detection, linux system re-imaging) will be FREE when you purchase from us. If you’re looking to make a worthwhile investment for your enterprise by purchasing your own hardware over leasing, trust in us to configure a system that fits your needs. If you have any further questions, chat with us and we’d be happy to get any questions answered as soon as possible. This article was written by HostDime Content Strategist Jared Smith.